Nothing is more essential to a swimmer than air. Yet few swimmers truly understand how to breathe efficiently. Not just to get air, but to integrate breathing seamlessly with the stroke. Breathing is sometimes viewed as a liability or inconvenience, but when you do it right, breathing can actually make your stroke better. This DVD shows you how. Introduction – Learn the two key skills of breathing: (1) Head-Spine Alignment and (2) Breathing with body movement. Water Bowl Exercises – Invaluable if you’ve never been comfortable in water. Useful for understanding subtleties you probably missed before, if you’re already a skilled swimmer. Shallow Water Exercises – Separate critical breathing skills from stroking. Rehearse them in simple ways. Breathe more efficiently as a result. Breathing Skills in Drills - A simple breathing technique that helps you drill better. 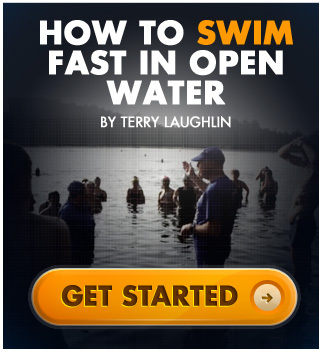 And an advanced breathing technique that helps you transition from drill to swim better. Whole Stroke Breathing Skills – A detailed study with focal points for practice of breathing technique for Freestyle, Breaststroke and Butterfly.